Crusio is a Dutch company started by tea-lovers. 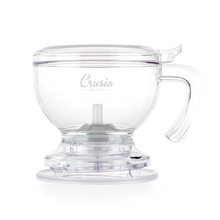 Their passion led to dreating Crusio Tea Maker - an answer to all tea enthusiasts' needs. This practical and well-designed tool is the best way to have a perfect brew at home.